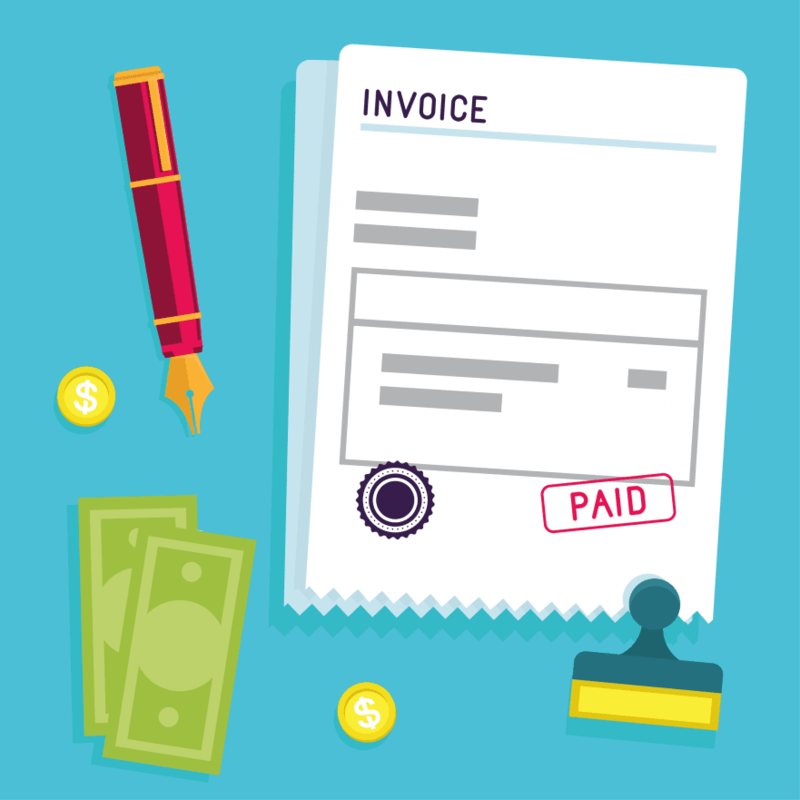 As a follow up from my previous blog post, ‘The anatomy of the perfect invoice‘ I am going to provide some inspiration so you can design your own creative invoice layouts. It is the last point of contact you have with your client and therefore you want to ensure you leave a positive experience in their mind so they are happy to both, use your service again and also recommend you to their peers. 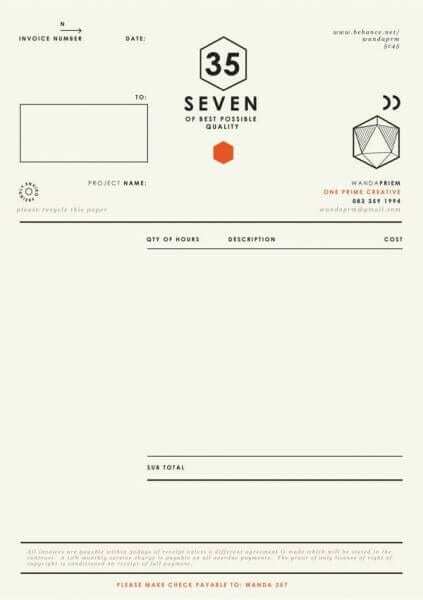 The invoices I will be showing you are not created by myself or connected to itas in any way, these are simply layouts I think are visually pleasing. It was very hard to narrow it down to just 7, but I hope you like them as much as I do! 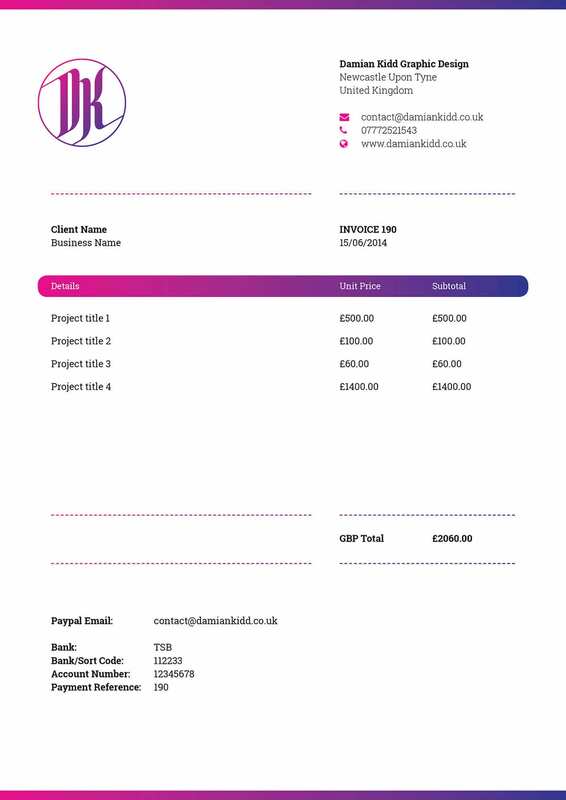 This is a great invoice, it has consistent branding throughout with the subtle use of the designers brand colours. It’s clear, all the information is there and it makes great use of minimal vector images next to the contact details. The font is legible and everything has been laid out so it aligns perfectly! Brink’s invoice is very consistent with his branding. 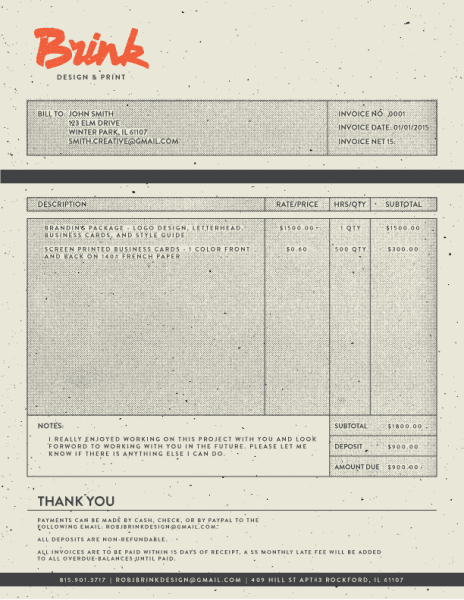 It has a vintage-esque feel to it but that doesn’t take you away from the important information on the invoice. I really like the use of simple boxes and the colours and design makes the logo ‘pop’, ensuring that you will remember his brand. 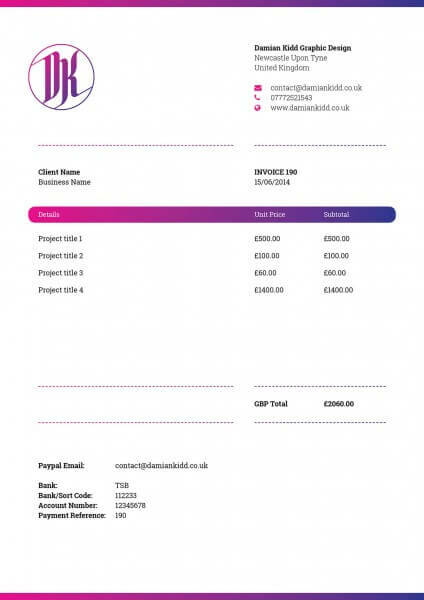 Devia’s invoice is clear, smart and the use of subtle colours from their branding in elements of the design is great. They have also used the shapes within their logo and placed them within the invoice perfectly, this is a great example of consistent branding, clean, clear design and great typography. 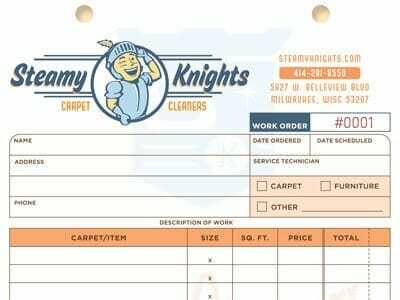 Steamy Knights’ invoice is a good example of showing off your brand through your invoice. They have a playful fun brand, despite being in what some people may consider a boring industry. This invoice will ensure they stay in their clients mind when they need their carpet cleaned again in the future. A great way to end the clients experience with the company. 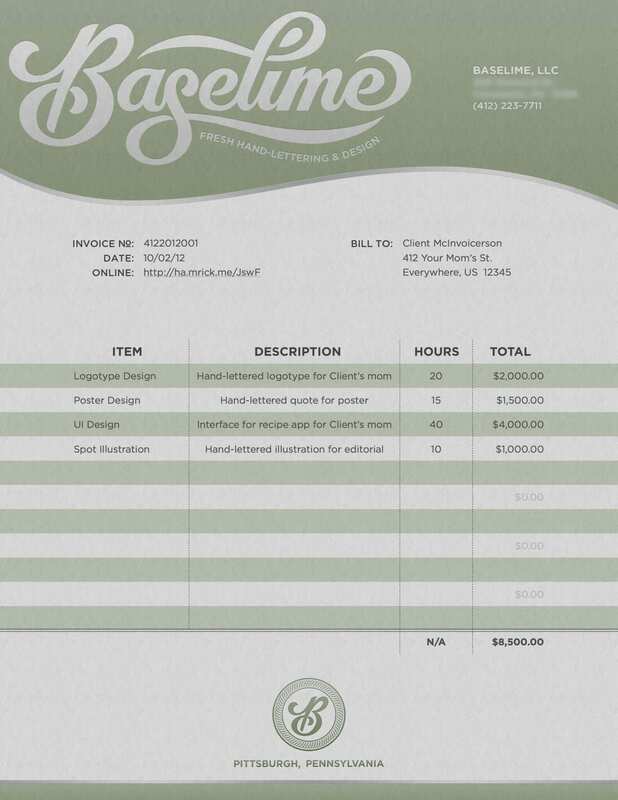 If you use your name rather than a company name and because of this don’t use a logo then this invoice is great example for you. 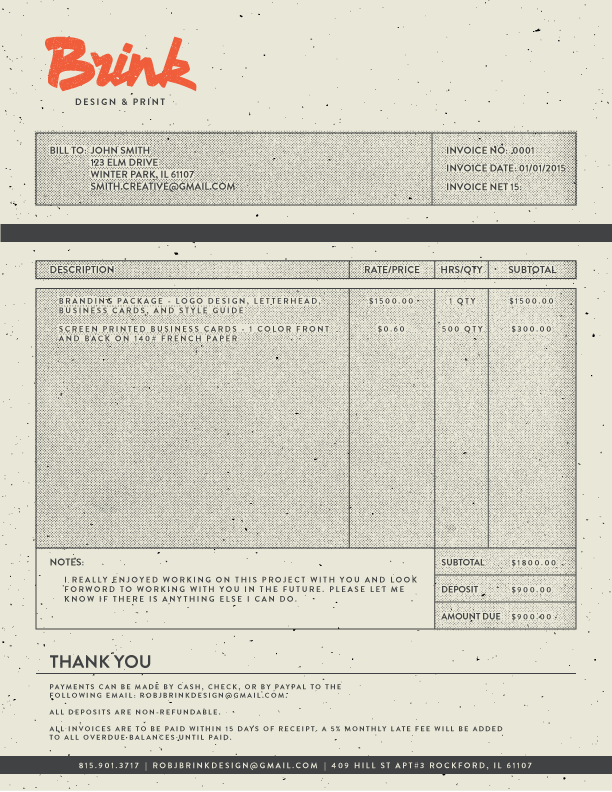 It’s personal, clear and uses nice elements of colour to enhance the important parts of the invoice, a lovely design. 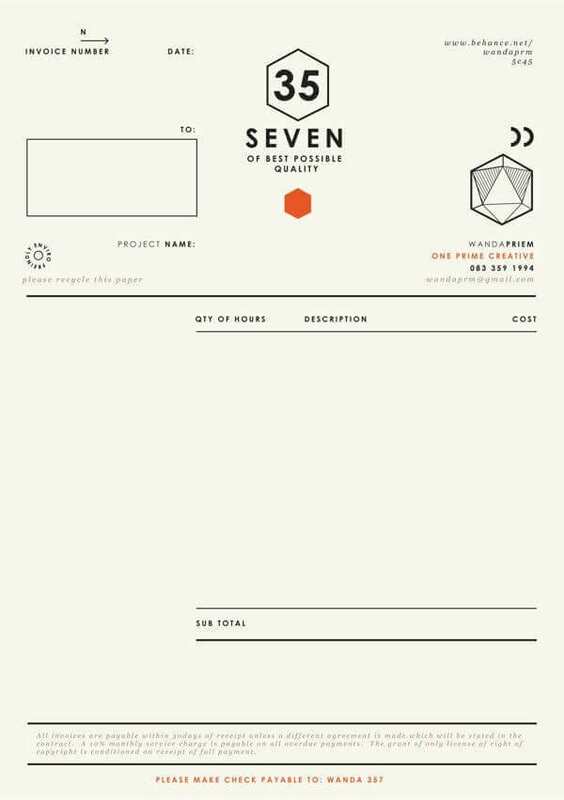 Number six is a lovely invoice that uses little splashes of colour all in the right places. The layout and typography is clear and the use of lines and shapes really brings it all together. 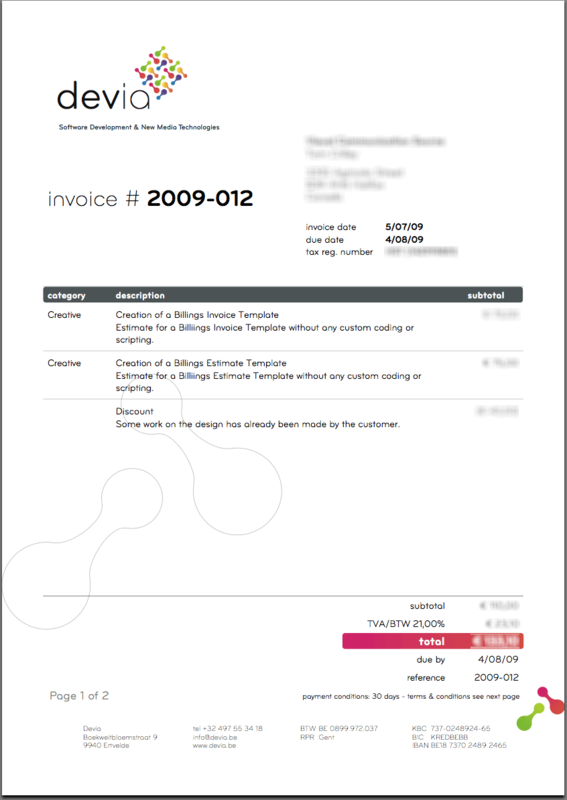 Baselime’s invoice has nice use of colour, the information is clearly laid out and the font used is easily legible. I really like the way the table of information is structured, using the brands colours rather than a standard table design. 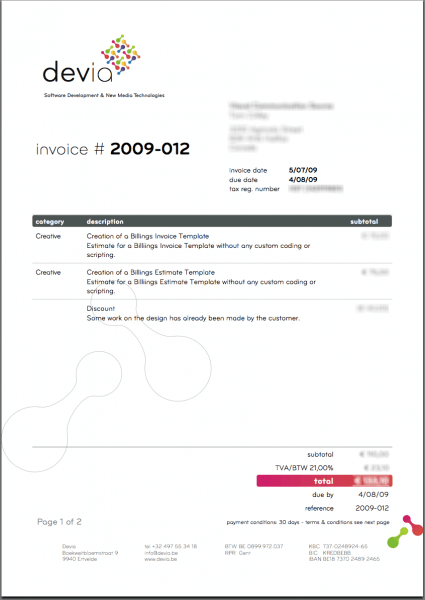 I hope these invoices inspired you into creating a visually pleasing invoice! If you need more support, please feel free to leave a comment below and to refer to my previous blog post which helps you with every element of creating an invoice. If you need further assistance with creating invoices and reports in Sage 200 Report Designer, we have courses available such as the FREE Sage 200 Report Designer E-course and our Online Report Designer Training course, led by our expert trainers. 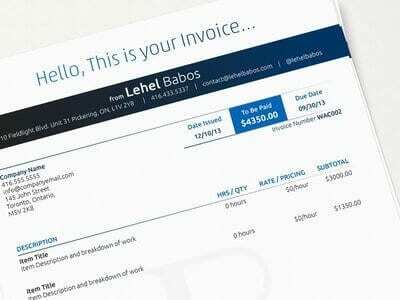 What do you think is the most important part of designing an invoice? Let us know by leaving a comment below!